The California use to be a hotel and now is a surfers guest house, sister operation to Tortuga Surf camp, this is the base for the camps equipment and some of its staff, making this a very unique place to stay for people on a student budget whiling to sacrifice the AC, and the pool and enjoy your time in Costa Rica with true locals. 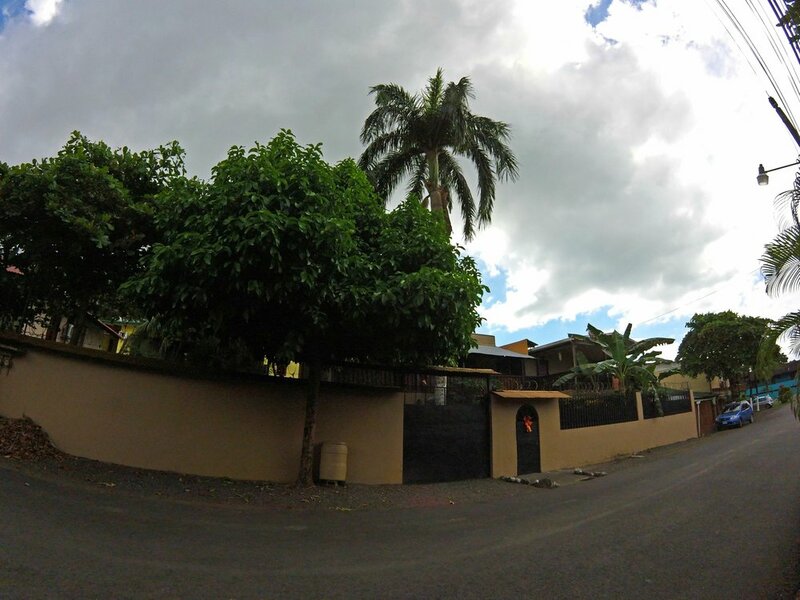 Hostel California , located on beautiful south Jaco beach Costa Rica is our features for the more lay back hippie style traveler who is on a budget and is willing to sacrifice having Air conditioning and a pool on site in order to make the central pacific ocean of Costa Rica his or her pool instead. At Tortuga Surf camp we are aware of the need to be able to offer more economical options to the people who want to learn how to surf but its traveling for long period or on a students budget. Hostel California is located within walking distance from our main camp and our beach station so you would be able to still enjoy of the surf camp and its features but staying at a more humble and local style lodging. 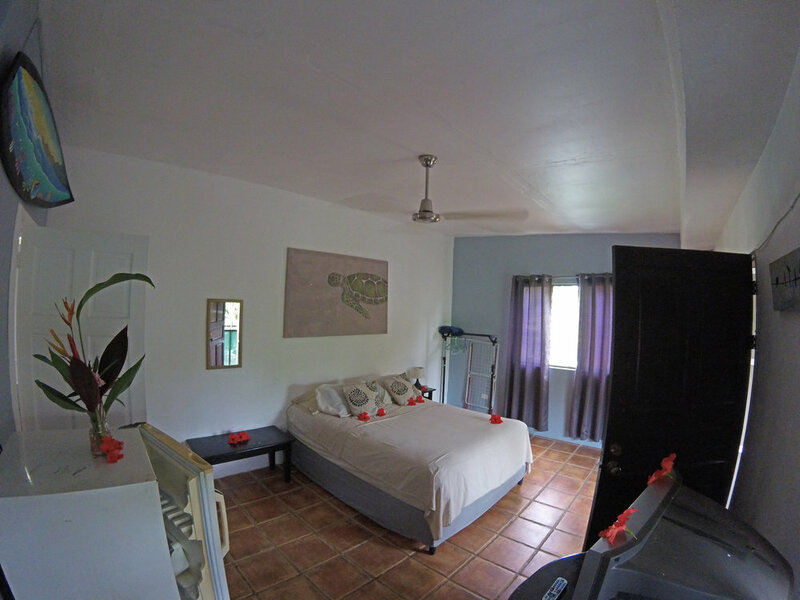 Room come equipped with kitchenette area and private bathroom and it has classic Costa Rica architecture with glass-less windows that are covered with mosquito net instead as the rooms are cooled with ceiling fans instead of AC units. There is a total of 8 rooms on this building and they are mostly occupied by other campers and even some of our staff members, yet everyone on their own areas. 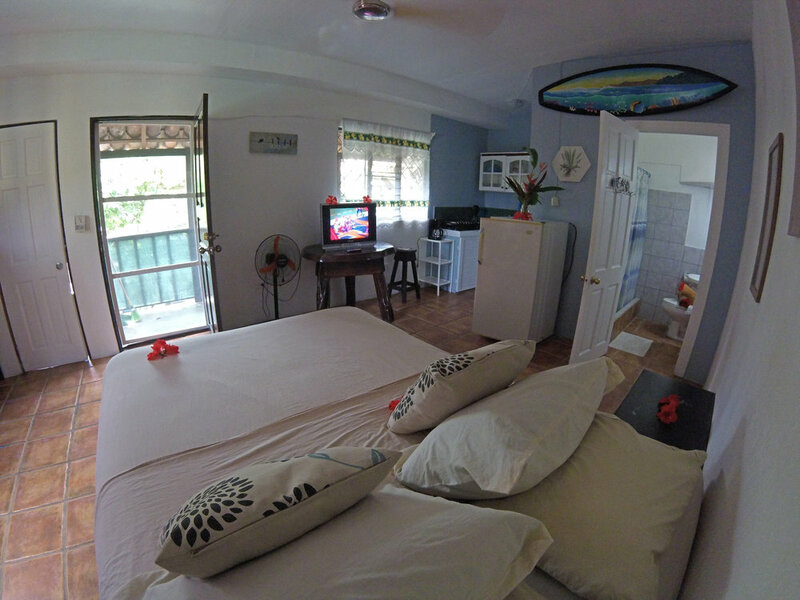 All rooms have access to WIFI on all communal areas of the building and cable TV, as well as access to our beach station beach chairs and surf boards just 5 min away free of charge. 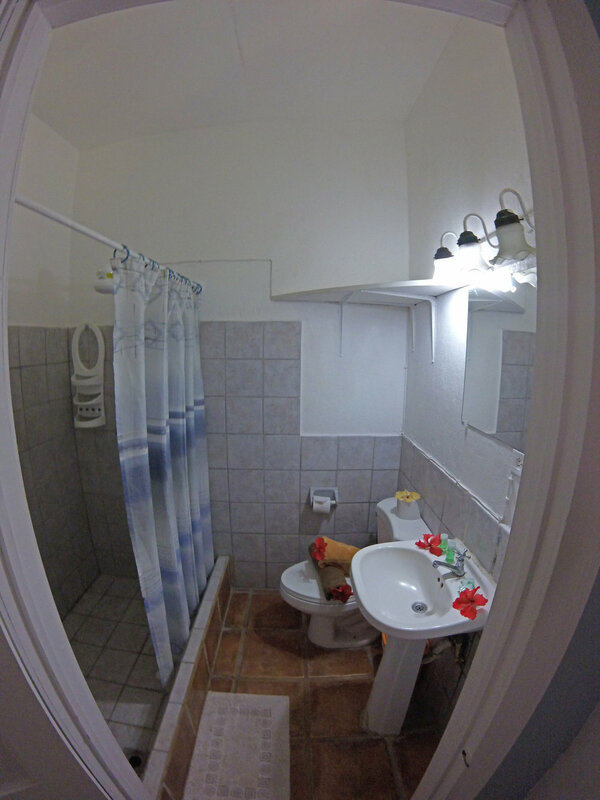 This is a very cute small studio like apartment with its own kitchen and bathroom perfect to travel on a budget yet staying in a nice clean area and in the best part of Jaco beach and right in front of our main camp bulding allowing for you not to miss any parts of your training. 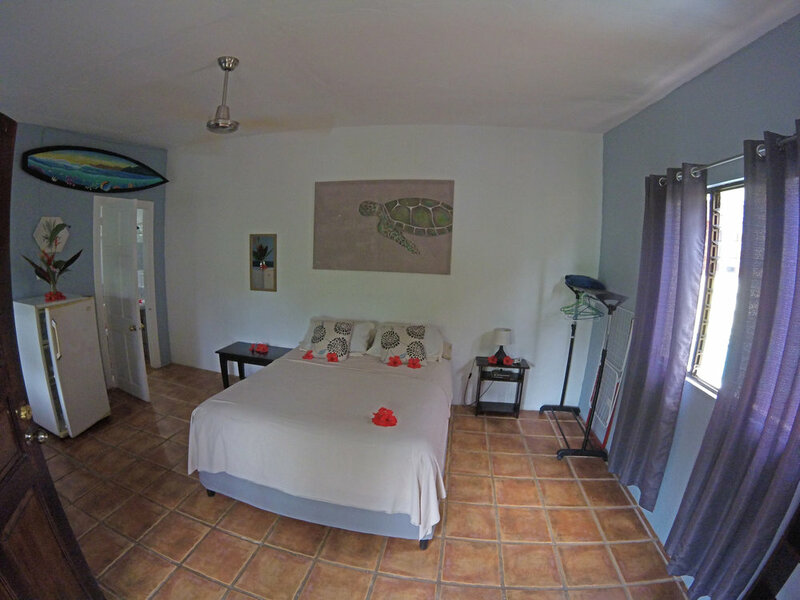 This room is literally 5 min walk to the beach and 10 minutes to town where all the amenities of Jaco beach are located. Surrounded by gardens and surf boards this is the perfect spot to come to CR catch some waves and meet cool people. 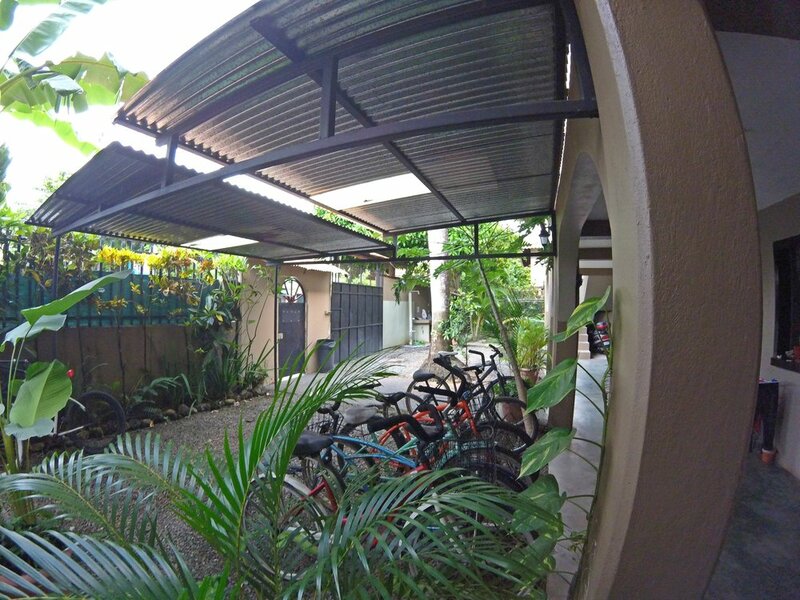 The building had one main gate access and you can use the surf and bike rack as well as green areas and outside tables. And you would be able to take advantage of Tortuga Surf camp beach chairs for free when available just because you are staying under the TSC umbrella.